My name is Chita, I am 19 years old. I live on one of Mekong’s islands in Stung Treng Province. I am the first born child in a family of 6 children. Because my parents cannot afford for everyone’s education in the family, I decided to quit my first year in high school. If I did not pass to study here, I would probably return home and help my parents in our farm. Having spent 1 year with the training center, I acquired several important skills which include General English, English for Tourism, Cooking, Housekeeping, Hospitality and Catering. I didn’t only found a big difference in terms of my knowledge but also my attitude and manner. My English communication is improved, I learn the way to live and work in harmony. As Tonlé focuses on skill development in tourism industry, this has contributed to the economic growth of the country and helps many vulnerable people in the region and these are what I love the most about the project. 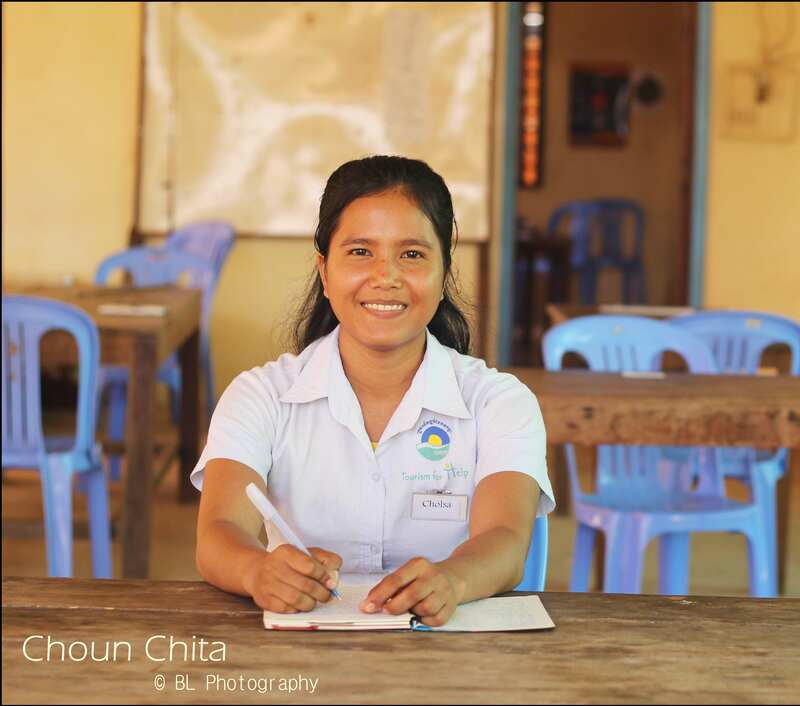 With another sister center in Kratie town, I am able to take advantage of “Learning by Doing” opportunity. At the end of the school year, I was selected to work as a service attendant in the biggest boutique hotel in Ratakiri followed by a walk in interview during my study trip. I am extremely happy to get a decent work after a year of working hard.